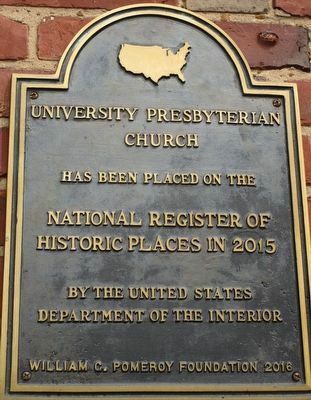 Erected 2016 by William G. Pomeroy Foundation. Location. 42° 57.269′ N, 78° 49.355′ W. Marker is in Buffalo, New York, in Erie County. Marker is at the intersection of Main Street (New York State Route 5) and Niagara Falls Boulevard, on the left when traveling east on Main Street. Touch for map. 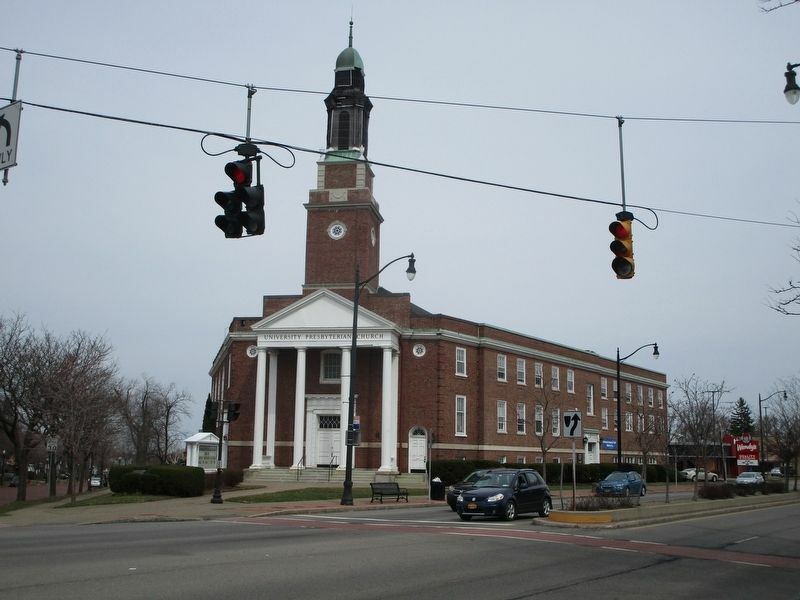 Marker is at or near this postal address: 3330 Main Street, Buffalo NY 14214, United States of America. Touch for directions. Other nearby markers. At least 8 other markers are within 2 miles of this marker, measured as the crow flies. A Tribute of Love (approx. 0.6 miles away); The Sample Shop (approx. 1.3 miles away); Central Presbyterian Church (approx. 1.7 miles away); An Architectural Treasure (approx. 1.8 miles away); Frank Lloyd Wright's Martin House Complex (approx. 1.8 miles away); Buffalo Zoo (approx. Marker is fixed to the church, to the right of the center front doors. 1.9 miles away); The Flint Hill Encampment (approx. 1.9 miles away); St. John's Cemetery (approx. 2 miles away). Touch for a list and map of all markers in Buffalo. More. 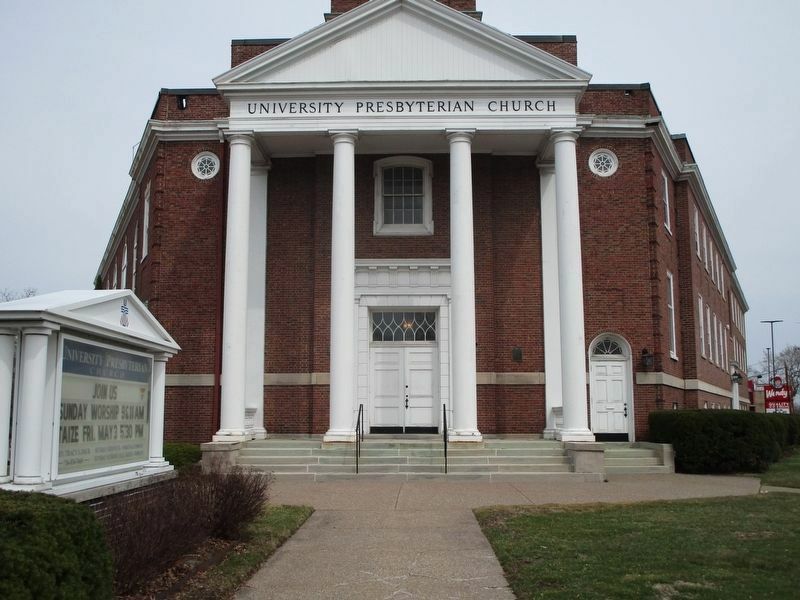 Search the internet for University Presbyterian Church. Credits. This page was last revised on April 8, 2019. This page originally submitted on April 8, 2019, by Anton Schwarzmueller of Wilson, New York. This page has been viewed 29 times since then. Photos: 1, 2, 3. submitted on April 8, 2019, by Anton Schwarzmueller of Wilson, New York.